We’re coming up to the third week of autism awareness month and I for one couldn’t be more thrilled by all the amazing, creative, ground-breaking projects, campaigns and conversations that have been going on. Of course, I’m also happy to have the opportunity to contribute through the #PuzzledWithAutism campaign being run by House of Silver. There’s more information in this blog post, but essentially, #PuzzledWithAutism was created to promote awareness of autism through the medium we know best—jewellery! I have posted about myths relating to autism and also 10 famous autistic people in history earlier this April to promote the awareness. Jewellery is for life, just like autism, so we created a gorgeous Autism Awareness Jewellery Collection, which includes items such as this specially commissioned and designed Autism Awareness Sign Pin. We’ve been encouraged by the positive response from all of you, and to say thank you I’m holding another giveaway of an item from the Autism Awareness Collection. There are many signs used to represent autism, and discussions are still ongoing as to which is the best. That’s why we’ve decided to include a range of different symbols in our collection… including the infinity symbol. The infinity symbol is an abiding symbol of hope, possibility and life. It’s not just confined to one meaning or area—it contains infinite potential, and that makes it a great way to celebrate autism, as well as a multitude of other things. That’s why I’ve chosen this pair of silver infinity earrings as a special prize for a lucky winner! You know the drill! To enter, simply follow these instructions… and good luck! *To answer the question in the competition, follow the link above and click on 'Specification' tab in the listing to reveal the code for the earrings. Please, don't put code in comments! This post is the continuation of #Puzzled with Autism campaign, which will be running until end of April as it was extended due to highly positive response and demand. In the first case of autism, Dr. Leo Kanner used the term to diagnose a social and emotional disorder. Though it wasn't until 1943 that “autism” was used as a diagnostic term, it is certainly not anything new. Indeed, history is full of people who many consider to be or have been somewhere on the autism spectrum. I have picked 10 famous people who most likely you know, but may not have known them as autistic. 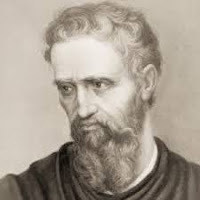 Michelangelo’s artistic genius may have been a symptom of autism. Michelangelo had obsessional behaviour, a fiery temper, and tendency to be a loner which could be signs of autism. Michelangelo was also obsessive and followed repetitive routines. If he did not follow these routines, it would create great frustration. Michelangelo has been described as strange, without affect, and isolated, as well as being “preoccupied with his own private reality. Such characteristics, all of which were determined through dozens of contemporary notes and letters, are consistent with those with high-functioning autism and may have helped him become the creatively artistic individual he is famous for. 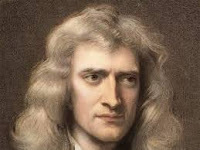 Evidence from researchers at Cambridge University suggests that Isaac Newton had Asperger’s Syndrome. Newton isolated himself as much as possible and was notoriously awkward when it came to typical daily conversation. He was not good at keeping friends, and relied strongly upon routines. 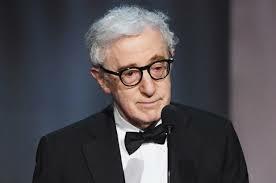 Lastly, there are a number of reports that suggest that he was often so focused on his work, that he went for days at a time without eating or sleeping. 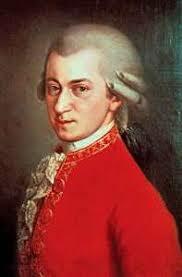 Most scholars agree that musical maestro Wolfgang Amadeus Mozart was somewhere on the spectrum. Mozart was allegedly extremely sensitive to loud noises, had a notoriously short attention span, and could fly through a cycle of facial expressions within seconds. In one well-documented incident, a bored Mozart began doing cartwheels and vaults over tables while meowing loudly like a cat. Trinity College professor Michael Fitzgerald, a leading psychiatrist, researched and published a paper concluding that Charles Darwin had Asperger’s Syndrome. There are records from Darwin’s childhood that state he was a very quiet and isolated child, who avoided interaction with others as much as he could. Like so many others with Asperger’s, he sought alternative ways of communicating, such as writing letters. He had fixations with certain topics like chemistry, but was a very visual thinker — all traits of someone on the autism spectrum. 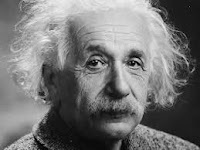 Perhaps the most famous scientist and mathematician in history, Albert Einstein had a number of interesting and possibly telling characteristics. For one, he had trouble socializing, especially as an adult. 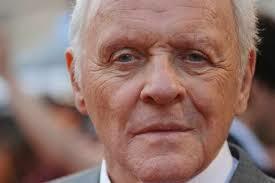 As a child, he experienced severe speech delays and later echolalia, or the habit of repeating sentences to himself. And of course, there is the fact that Einstein was incredibly technical. Such characteristics have led many experts to conclude that he appeared somewhere on the autism spectrum. 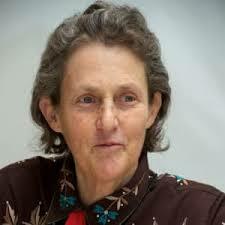 Temple Grandin, who revolutionized the livestock industry with her focus on the humane treatment of animals, was diagnosed with autism as a child. Grandin earned countless accolades, including a doctoral degree, and her life inspired an Emmy award winning HBO film starring Claire Danes. She is one of the first individuals on the autism spectrum to publicly share insights from her personal experience of autism. She also invented the "hug box" - device to calm those on the autism spectrum. In fact, Grandin is one of many women diagnosed with autism who have gone on to break down barriers across fields ranging from entertainment to anthropology. 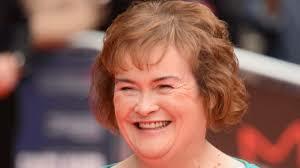 In April 2009, Susan Boyle, a middle-aged church volunteer from a small town in Scotland, auditioned for Britain's Got Talent with her favourite song "I Dreamed a Dream"—and more than 200 million video views later, she had captured the attention of the world for her soaring vocals and humble personality. Though she didn't win, Boyle went on to release seven albums, including 2009's I Dreamed A Dream, which became the fastest selling UK debut of all time and skyrocketed to the top of the Billboard charts. The rise to fame came as a surprise to Boyle, who was often bullied as a child. It wasn't until she turned 51 that she was diagnosed with Asperger's syndrome. Boyle has gone on to headline her own international singing tour, appear in everything from a musical based on her own life to Zoolander 2, and has even performed for the Queen. When she was just 15, Applegate became the first British woman with Asperger's to win a gold medal at the Paralympic Games. She brought home the gold for the Women's 200m freestyle at the London games and went on to win three more medals the following year at the IPC World Championships in Montreal: gold in the 200m freestyle, silver in the 200m medley, and bronze in the 100m freestyle. Applegate dipped into a pool for the first time when she was just a few months old when her mother took her to a local swimming club. By age 10, Applegate began competing regularly, and she has gone on to shatter records, all while visiting schools and swim groups across the UK to share her inspiring story. These are just a few famous people among thousands of talented autistic. Who do you find the most inspirational? Always happy to hear your thoughts in comments. Our Autism Awareness fundraising campaign is running and the word about it is spreading. I'm delighted so many people responded to it and expressed their support. Here is our next blogpost relating to autism discussing the myths surrounding it. Myth: Autism is a bad thing. Truth: Autism isn’t bad or good - it is a condition. While there are some aspects of life that are harder for autistics to deal with, there are also some benefits and positive aspects. Myth: Autism is an illness. Truth: Autism is a condition that is present from birth. No one is quite sure what causes it yet, but they think genetics have something to do with it. However, it is most certainly not an illness and can’t be caught from vaccines either. Myth: Autistic people are unintelligent/stupid. Truth: Autism brings with it just as many exceptional abilities as challenges. Many people with autism have normal to high IQs and some may excel at math, music or another pursuit. Lots of autistic people have highly intelligent and innovative ways of thinking, just have a great deal of difficulty communicating with the world around them or little interest in doing so. You shouldn’t judge a person based on their autism, just as you shouldn’t judge someone based on their gender or race. And just because someone’s mind works in a way different to yours, that doesn’t mean they are stupid — instead, you could make an effort to understand. Myth: Only men can be autistic. 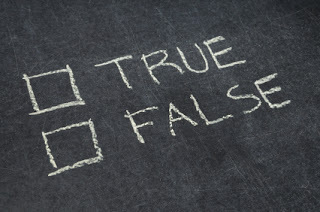 Truth: Autism is more commonly diagnosed in men, but it is thought to be equally prevalent among men and women. The reason women are less often diagnosed because autism has traditionally been seen as an extreme form of the male brain, and have lots of male coded traits. Often, autism and women manifests itself differently, including social masking of autistic traits. Myth: Autistic people are bad employees. Truth: Autistic people are fantastically innovative and valuable additions to your workplace. They help bring in new perspectives and ideas. Autistic brains work differently, not worse, than neurotypical ones; employing neurodiverse workers can bring lots of fresh potential into your workplace. Myth: Autism only exists in children. Truth: Children with autism grow up to become adults with autism. Autism affects people of all ages. It’s previously been ignored in adults, particularly those who have grown up masking their autistic traits. Previously, if you got through childhood without being diagnosed, your autism would go unacknowledged. Now, however, there are more opportunities for late diagnosis becoming available, and many say finding out that they are autistic has changed their lives. Truth: In the 1950s, there was a theory suggesting that autism was caused by mothers who lacked emotional warmth. This has long been disproved. So far there isn’t explanation what is the cause of autism. Truth: Autism doesn’t make an individual unable to feel the emotions you feel, it just makes the person communicate emotions (and perceive your expressions) in different ways. Autism often affects an individual’s ability to understand unspoken interpersonal communication, so someone with autism might not detect sadness based solely on one’s body language or sarcasm in one’s tone of voice. But, when emotions are communicated more directly, people with autism are much more likely to feel empathy and compassion for others. Also, autistic are able to learn ‘reading’ emotions and face expressions. Would you like to add any more? Which myth affects you most? Share your views in comments. 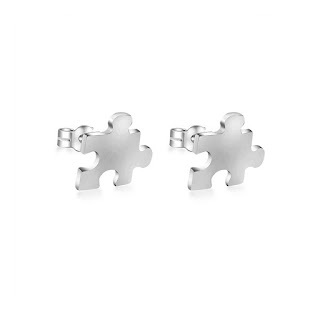 Sterling Silver Puzzle Piece Studs giveaway! UPDATE - we have a winner! Thank you all for taking part in my giveaway which was my first, but certainly not the last! Keep checking my blog for more competitions coming.